Each year, after tax season ends, IRS publishes a list called “The Dirty Dozen” which lays out information on tax scams seen most frequently during the season, so that EROs and taxpayers know what to look out for in order to protect themselves against fraud. Today, we'll cover some of the most critical ones and provide you a few tips on how you can help your clients avoid falling prey to the scams reported most frequently last tax season. You can also check out the Dirty Dozen list published by IRS in its entirety here. At the top of the 2014 list of tax scams was the use of identity theft to perpetrate tax fraud, which might not come as a surprise to you since identity theft is occurring so frequently worldwide. IRS has dedicated a special page on their website to help victims of identity theft deal with the issue and other taxpayers to avoid falling victim to scams. It might be a good idea to provide your tax clients with the contact information they will need just in case they experience identity theft outside of tax season. Scammers also have begun making phone calls posing as IRS agents, or using unsolicited e-mails and fake websites to obtain identities and money from taxpayers. The targeted taxpayer may be told that they need to immediately settle a large tax debt using wire transfer or a prepaid debit card. They may even be threatened with jail or garnishment or other adverse actions if they do not comply right away. Another scam that’s been seen recently, involves taxpayers receiving calls from someone posing as a return preparer and promising the taxpayer a surprisingly large tax refund that the taxpayer never would have thought they’d qualify for. As a general rule in taxes, if it sounds too good to be true, check with another tax preparer. There’s also a chance that unsuspecting taxpayers might be misled or misinformed by other preparers, so in the event that prospective clients decide to shop around for a preparer before deciding to work with you, make sure that they are aware of the risks of working with a preparer who promises a “big refund”. 1. IRS Agents will not call taxpayers demanding payment on the spot. If you receive a call like this, and you think be sure to contact IRS’s department responsible for handling these types of scams. Here’s their info: Treasury Inspector General for Tax Administration at 800-366-4484. Remember NOT to provide your bank account or credit card information to any caller from whom you are not expecting a call! 2. 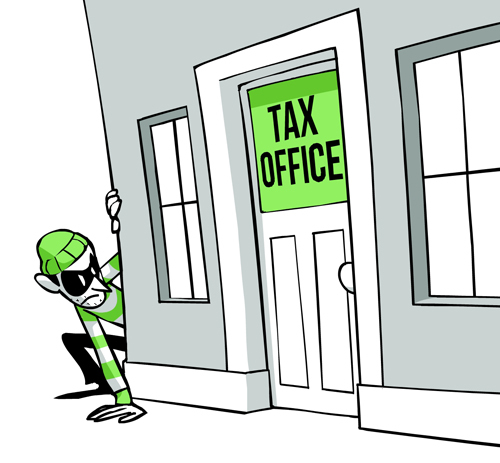 Reputable tax preparers should not “cold call” a taxpayer and promise a refund of ANY amount without knowing specific important details about the client’s tax situation. This means that if the client never provided the “preparer” with those details, they should not provide personal information during the phone call. It is possible that the caller is posing in an attempt to obtain SSNs or other personal data. 3. Taxpayers are legally responsible for what’s on their tax return even if someone else prepares it. Make sure the preparer you hire is up to the task. It is worthwhile to question any data that may be false or difficult to support before it is entered in the tax return. Once IRS accepts it, the only way to change it is to amend the tax return, which is no fun for anyone! Furthermore, if IRS catches the error before you do, there could be penalties and fines, and almost certainly headaches from trying to get the tax situation sorted out with IRS. We hope this information is helpful to you and your clients and don’t forget to register below to learn more from our Top Tax Scams Webinar. Be sure to let us know if you have any questions. Chat with us on Twitter using #taxprotalk.